The plan is interactive, with a number of 'hot-spots'; clicking on them will take you to appropriate pages giving photos and descriptions of those areas. 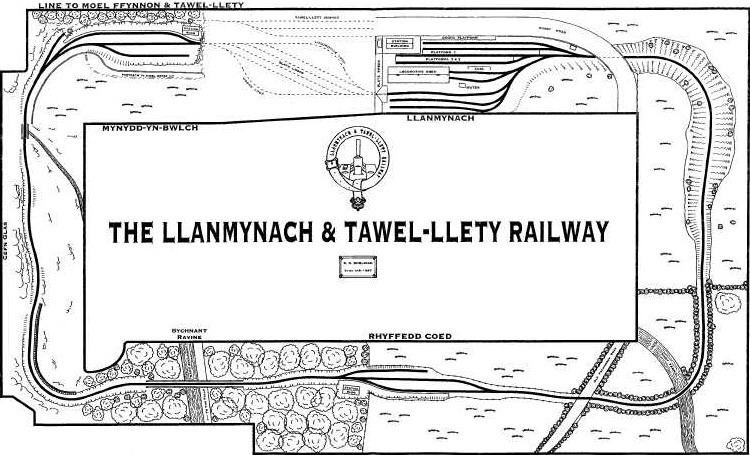 Starting at Llanmynach station and going clockwise around the layout will take you on a journey to Mynydd-yn-Bwlch. If you'd like a closer look at the railway's crest you can bring up a larger view by clicking on it and to return here use the 'back' button on your pc. Clicking on the various thumbnails will bring up a larger view - use your own pc's 'back' button to return to this page.